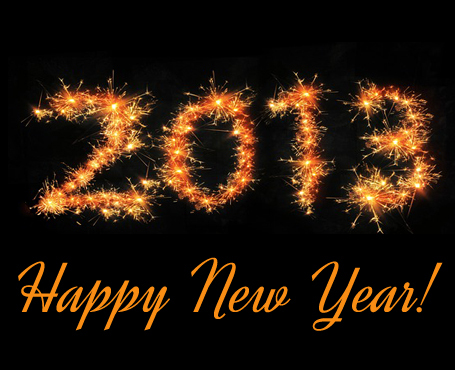 New Year’s Day – the day the marks the new beginning of the year and the time to say goodbye to the previous year. This holiday is celebrated with total excitement and zeal. This New Year’s day, greet your family and loved ones a Happy New Year. But wait, you don’t know what to say to others? It is a very good feeling to receive a happy New Year greetings from someone because that means that within a split of a second, your name had crossed his mind. Let somebody feel good by sending out cute New Year messages, greetings and SMS that will make them smile. These wordings about new start and new beginning are also perfect to be sent as New Year SMS and text messages this holiday season. During holiday, one of the best things to do to express and spread the spirit of joy and happiness is to wish someone to have a great moment of celebration. Hence, sending your warmest season’s greetings is nice to let someone know that you remember them during this special occasions. So what are you waiting for? Share the most heartfelt wishes and say Happy New Year to your dear and near ones. New Year is fun when shared with you. I hope you will accept. Happy New Year! The harder you work, the easier life will be. The harder you worry, the easier you will fall. The harder your head gets, the easier you will regret. The harder you pray, the easier your burdens will be. To be with you, all for you, everything for us. All these I ask for this New Year and the many years to come. You are like a firework that makes the loudest noise here in my heart. I am happy to have another year because that will mean having plenty of hugs and kisses from you! Why is it that every year, you still look the same as the first time I saw you? I am looking forward to having a more fruitful year with you! You are not just a partner because you are my companion. You are not just a friend because you are my best friend. You are not always here because I always keep you in my heart. I am happy to celebrate a New Year with you! I worked hard yet spent too much. Went to church but sinned a lot. Shared stories with friends yet kept a lot of secrets. I wish to change, and I ask you to help. Happy New Year! Hoping for Everybody to Love and Pray. We have to do this in order to live life to the fullest! Celebrate this day with your loved one because you will never know if until when you will be together. Cherish every moment with them and tell them that you love them. Isn’t this a good start for this year? Say goodbye to the old year and welcome the New Year. Both of these calls for a celebration. The former has a lot of promises while the latter has made us the person that we are now. Cheer and do not fear. God will be with us all through this year. Can’t find the perfect word to convey your wishes to someone special? Then more samples of New Year greetings are given and provided for your usage. Feel free to use them this holiday season. The year has come and gone, but I am glad that I have got to spend it with you making great memories. Happy New Year! Here’s to hoping we can keep your New Year’s resolutions last through February! This year I have decided to quit smoking, go on a diet, make world peace happen, and to stop making unrealistic resolutions. Happy New Year! Let’s bet ten dollars that I can keep my New Year’s resolution to quit gambling this year! Happy New Year!! What are your resolutions this year? I have made a resolution to stop poking into other people’s business! Did you hear who was trying to quit smoking? New Year’s is just another occasion that I get to tell you how much I cherish our friendship! There is no such thing as a good year or a bad year. It’s all about what you make it. Have a great New Year! I hope you have an amazing New Year full of fabulous experiments and achievements! Another chapter is waiting for you to write it with great memories! Happy New Year! I hope the New Year brings you many opportunities to achieve your dreams! Don’t wait for a whole new year to make changes to your life! Start being proactive today! Happy New Year! You are a dreamer and achiever! I hope you dream and achieve larger feats! This year I promise to use more deodorant and do less laundry just for you! For this New Year, I hope that all your troubles last as long as your resolutions. Here’s to another new year for us to work harder to get it right! Happy holidays! Let your New Years greeting messages reach those people who are not with you to celebrate. Tap your cell phone’s keypad with these short and simple New Year SMS messages and New Year text messages that they will appreciate to receive. May this day bring you a new life that is full of blessings to receive. Wishing you and your family happiness, peace, and love this New Year and the many years to come! This year is a promise of hope to change for the best person that we can be. May this year be filled of lots of moments that will make you cheer. Welcome the New Year with open arms. I wish that you and your family will stay closer as you embrace the promises of this New Year. Be joyous in celebrating the New Year. May your life be filled with all the happiness you deserve. Pray that this year will be a peaceful year for all of us. With you by my side, each New Year will be nice. Let us make this day a date for us. Happy New Year! Thoughts of you in this joyful time of the year fill my mind. My love for you will always be the same all through this year! Let God lead the way as we start this New Year. He is our Shepherd, and as His flocks, we need to follow Him so that we will not go wrong. Keep your hands off those fireworks. I want to hold them for long. Happy to start another year with you. Be true to the resolutions we decided to make. Do not waste the chance that this New Year gives us to be a better person that we can be. Happy New Year! Now, writing message in a card can be daunting for most people. That’s why they can’t find the perfect word to wish their dear ones to have a great celebration. If you are one of them, don’t be depressed just yet. Here I am to help you and give you some samples and ideas. Each day of the year means a new beginning for us. Do not wait for the New Year to be sorry for all the things you did wrong. Worries are just in the mind. Let your thoughts be filled with nothing but sincere thanks for this New Year. You are like a firework display that satisfies my sight. I wish to see you here next to me not just today but forever. We must also cleanse ourselves so that we will start this year right. Enjoy the fireworks, music, and food that come with the celebration of this day. Just do not forget to enjoy the life you have responsibly. Let God be the first One that you’ll greet for this New Year. Thank Him for all the blessings you receive and look forward for all that you will receive. New Year, new hope, new plans. Everything else will follow if you become a new person. Do not just celebrate every 1st of January. Each day of the year is worth celebrating. Happy New Year! Wishing that our family will be stronger as ever. May we find happiness in each other starting this day, and the years ahead! Start the year with a smile that will go a long way. Touch the lives of the people by making them smile. Want to keep your New Year greetings short yet meaningful? There is nothing more special than being thought of this season. Here are some short New Year messages, and New Year wishes you can try. Feel free to send these brief New Year wordings as New Year SMS messages and New Year text messages. Happy New Year to one and all! Celebrate and enjoy! Cheers for this New Year! I pray that the world will be safe as we celebrate the New Year! New Year means new life to live. Be fresh in your mind, pure in your heart, and true in your words. Let us welcome the New Year with the loudest noise that we can do. Fire up and shout for its coming! Be the happiest that you can be this New Year! Positive energy gives positive results! Be happy today and all throughout the year! There are 365 reasons for you to live life happily. New Year is just around the corner. Find the place where you can have silence and utter a little prayer of thanks! I am writing to wish you a happy and successful New Year! Wishing that all your wishes and dreams come true this New Year! I hope this New Year will be the best year yet for you! Happy New Year!